The Institute has a computerized central library with the objective of supporting academic and research programmes of the institute. The library is centrally placed and easily accessible. The library has a collection of over 30000 volumes on pure Science, Bio-Science, Humanities and Education and 90 journals (national and international) and other periodicals, magazines and dailies (Regional-3, English-2). The major thrust areas of the library collection of materials on Science, Literature, History and Culture Studies. The library also possesses reports, pamphlets, articles, audio and video cassettes collected from sources within India. The Reference Section for English contains documents such as dictionaries and encyclopaedias. There is also a separate textbook section housing books prescribed for specific courses provided by the Institute. Book bank facility is available for the students; here a students can get 8 books from the book bank and keep those books till the end of the semester. Students may avail book bank facility from very first day in institute. It has a well-furnished reading hall which is well equipped with a number of study-oriented journals. Internet facility and photo-copying facility are also available. The Library in the campus is a well-organized one with an adequate collection of books. 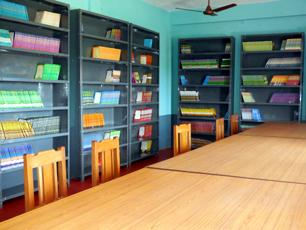 It is fully equipped with modern tools of learning such as computers, CDs, DVDs etc. Audio-visual learning aids will also be part of this knowledge-centre. Library has acquired software for computerizing library services, with OPAC facility, Language learning laboratory for improving communication skills of the student has been established. We have Physics, Bio Science, Geography and Language Lab. Computer science laboratory accomodates well equipped computers with competent c.p.u and printers. Work stations are spaciously capacited for conducting practical classes of student groups. Projector serves as the visual medium aiding the academic teaching. 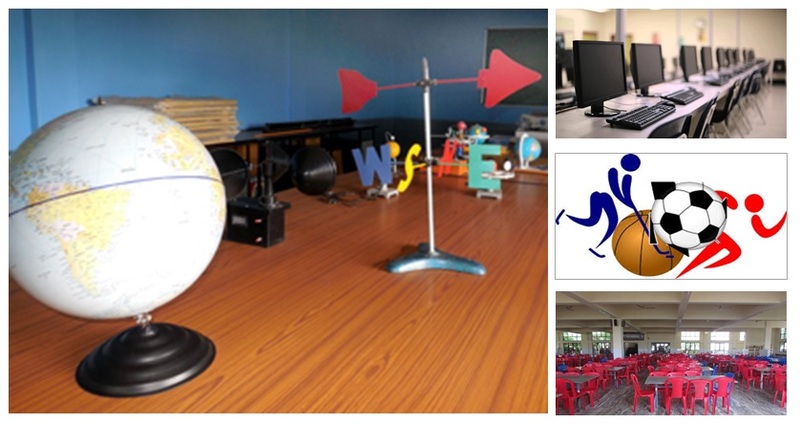 The Institute has a common room equipped with indoor games like table tennis, carom, chess etc. Students can spend their spare times in the common room. They can also utilize it as their study zone when the class is off for any significant reason. A full-fledged canteen is provided to cater to the needs of the students. Veg & non-veg meals are available on payment of nominal charges. Varieties of snacks, soft drinks, coffee and tea are made available at pocket-friendly ranges for the students during the short breaks of the class hour. All these food items are not only dainty but also ideal for health. So, students can have and enjoy these items to the fullest. These are absolutely perfect to meet up the hunger and thirst as well.